Christmas time is a wonderful part of the year, of joy and prosperity, sharing, giving, the feeling of harmony and togetherness, and for Christians, the time of birth of Jesus Christ. This festival is celebrated with outmost excitement and this is the most awaited festival of the year. It is a festival of happiness that people celebrate with their families and close ones enjoying and spreading around love. It’s Christmas time! 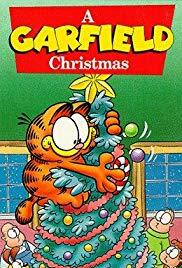 It’s time to sit in front of the TV with your family and watch some of the classic Christmas movies of all time that on one hand show you the glaze of Christmas, the tasty meals, enjoyments, dance, decorations, cakes and everything else, and on the other hand, explain you the true meaning of this festival. Sitting altogether with the family and dear ones on a Christmas noon and watching an animated movie would be the best way of spending the awaited day. Since a long time, lots of Christmas stories have been released for children. Either with colorful interesting characters, or with cute baby sounds for those characters, these movies always succeed to bring smiles on the faces of everyone watching them, no matter young or old. A truly great Christmas movie should change the mood of the holiday season. Since all of us have different customs and traditions, that means Christmas films can take many different forms. They can be cheerful musicals, religious dramas, horror films, or adult comedies.You can watch movies of your interests. It can be a romance or an adventure or a thriller, anything. Here’s a list of some of the best animated Christmas movies of all time. You can enjoy these interestinganimated movies with you family and enjoy and experience a feeling of togetherness. 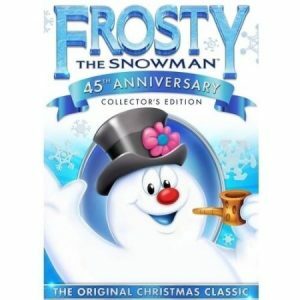 The motivational story of Frosty is so amazingly created with animation that it’s hard to believe that the song came before. It is an amazing version of the story that has been making kids curious since forever. The movie picturizesthe snowman so beautifully that it appears to be alive and the magic in the movie keeps you astonished. This is a perfect movie that you can sit with your children and watch. Though Claymation sounds a little out of style, but this story is worth watching again and again. It’s the basic carol of the bells, the walruses full of romance, or the classic Raisins from California. It’s got something for all of us. It is a story of a small town and the story tells how Christmas is celebrated in that town and what all happenings occur. It also has a bit of adventure and can be enjoyed by everyone together. 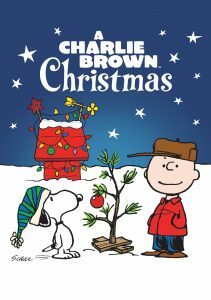 The movie, A Charlie Brown Christmas is inspired by a comic. This one is the most memorable movie of all time. This story has been getting people dazzled since 1965 with its characters, cute child voices and the wonderful interpretation. The story of the movie gives a beautiful message that one should never be disheartened. Amazingly picturized, the movie delivers a message and is a must watch movie. It is a perfect movie that one can watch with the family and have a perfect family time. Garfield, the fat orange cat, is well known for torturing Odie and grumping lasagna, but this story shows a completely different side of him, a soft-hearted cat. This movie is an American animation. The movie tells that what the festival of Christmas is all about and it also explains the true meaning or the real meaning of this festival. It explains that Christmas is not just about cutting cake, enjoying meals and drinks, dance, and other enjoyments, but is much more than it. The story of Scrooge and the ghosts is the best holiday story of affection and the light of hope. This one has many famous Disney characters in it. 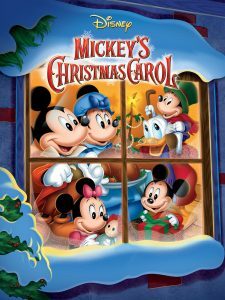 Almost all the famous Disney characters are characterized in this movie and one more interesting character is the Christmas ghost. This is one of the favoritemoviesof every child as children enjoy watching their favoriteDisney cartoon characters together in a movie. You can spend your Christmas noon watching this movie with your children and enjoy. This story has a boy, who never trusts people easily. He is never sure about anything happening around him but he’s always very curious. 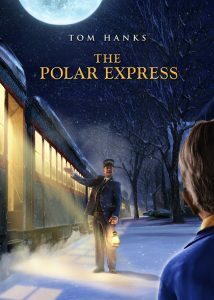 One day on Christmas, he takes an extraordinary train ride in a train that was called The Polar Express. That is the day he learns a lot about life, he learns that if you believe, anything is possible. Just by believing, life can be wonderful for a person forever. This adorable story is definitely a must watch for kids as it teaches a lot about life and at the same time is very relatable for the kids. Though the movie doesn’t have many words, but it surely says a lot. 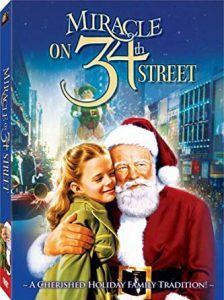 In this classic from the year 1947, Kris Kringle is recruited and hired to work as Santa Claus at the world’s largest Macy’s store in New York. Here he faces a situation where he has to try his best to convince a curious, doubting little girl that he is the real Santa Claus. The girl is accompanied by a handful of other interesting characters. The movie was released around 70 years back, but it still delights viewers whenever they watch it. This 1964 Claymation was narrated by Burl Ives and is aired every year on TV. 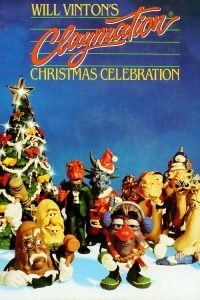 The movie shows the use of innovative puppets and stop-motion animation to tell the story of a reindeer, an elf, and an island of misfit toys. 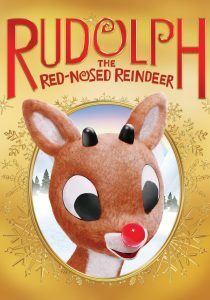 This story is basically about Rudolph, who was the main reindeer who pulled the sleigh of Santa on the eve of Christmas, and his bright red nose that helped in showing the path. The story is so interesting and engaging that it never lets your excitement drop. Its beautiful characters and story and the beautiful plot aremesmerizing. It is a must watch movie and is worth watching on Christmas. Finally, the Christmas eve is approaching towards you and have now gathered so many interesting ideas regarding which movies you can sit together with your family and watch on this Christmas. This festival is enjoyed by kids as well as adults. All come together to spread joy and enthusiasm. So, go, get ready and plan out how well you can celebrate this Christmas this year and make this family time the best family time ever.